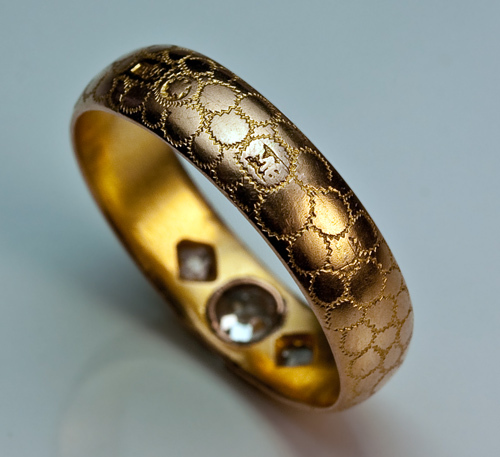 This gold and diamond men’s wedding band was made in St Petersburg, Russia, between 1904 and 1908. 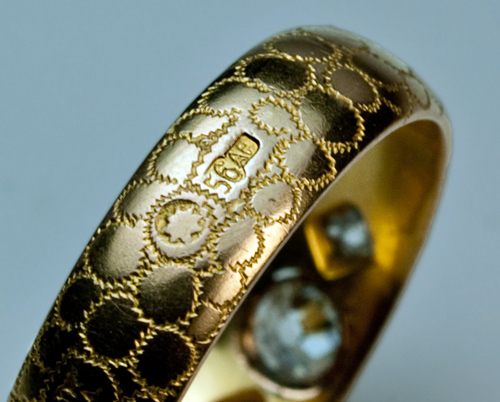 The matte gold surface of this highly unusual antique wedding ring is covered with stylized circular patches with zig zag borders. The engraved zig zags reflect light and stand out on the matte surface of the ring. 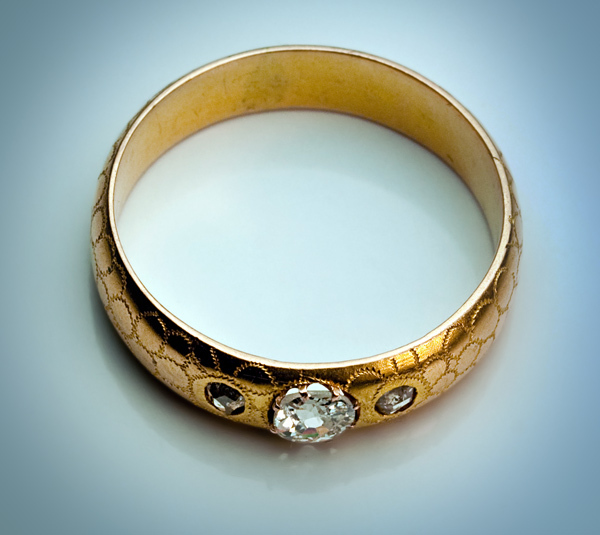 the back side is a millimeter wider and thicker than the front part of the ring, so if the diamond side is turned inside, the ring will appear plane gold. The diamond side also has slightly more rounded edges what makes wearing the ring more comfortable when the diamonds are on the side of your palm. 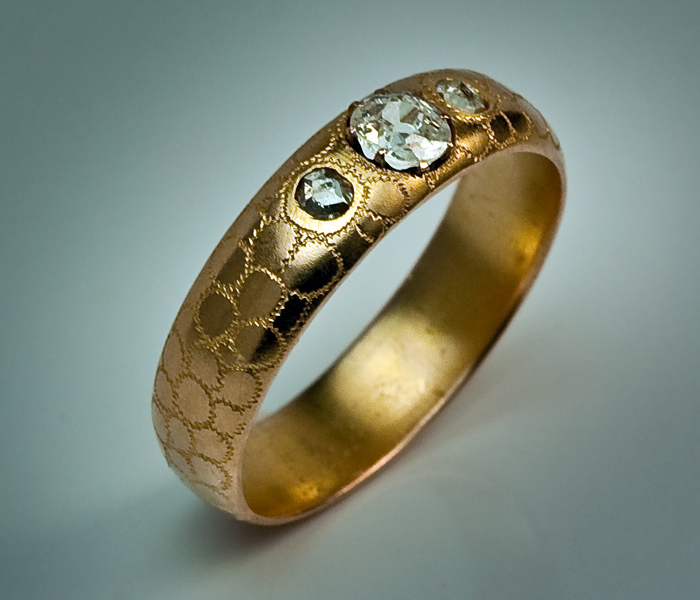 The ring is centered with an old mine cut diamond (approximately 0.28 ct) between two rose cut diamonds. 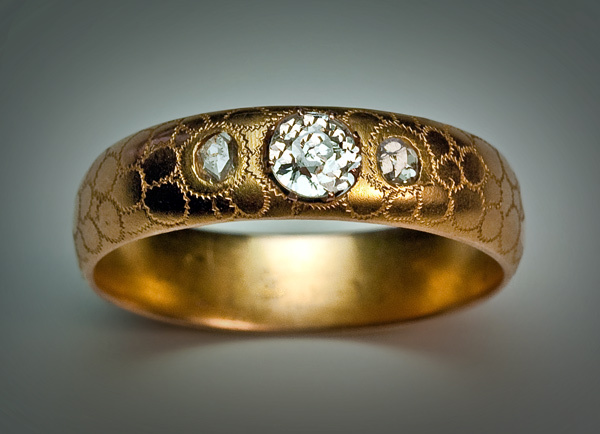 The ring is marked with maker’s initials ‘MB’ and 56 zolotnik old Russian gold standard (14K) with initials ‘AP’ for St Petersburg assay head master Alexander Romanov (1904-1908).